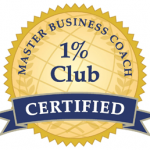 With hundreds of success stories and over 21,000 hours of helping Business Owners & Entrepreneurs achieve outstanding results, we’re proud to be in an exclusive club of the Top 1% of Business Coaches worldwide. “Two years since completing my Coaching program, I have maintained my disciplines, goals, scheduling & budgeting and am now achieving everything in much less time than before. Everything I learned has continued to become even more important and valuable! “When Anthony started coaching our franchise team there was an immediate,obvious & significant increase in focus, productivity & results. He will help you transform your Business in so many ways”. Turned me into an Award Winner! Straight Forward Success is the REAL DEAL. I've worked with numerous coaches. ALL of them pale in comparison to my experience with Anthony.I only wish that I would not have wasted thousands of dollars and years of my xlife trying everything else first. Dr Lucas D. Chesser, D.C.
How much better can YOUR Business become?